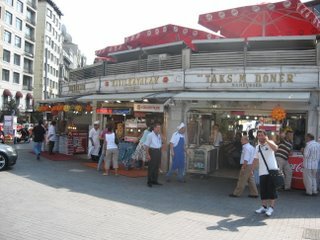 Typically, the cheapest is a "durum" for 75 cents... wrapped in a flat "durum" bread. 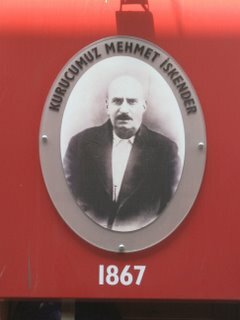 Other variations are döner wrapped in thick lavash flat bread, döner served in a pide loaf, the ever popular "yarim ekmek" served in a half loaf of french bread, or a "porsiyon" i.e. "potion" served on a late with salad, bulgur pilaf, and bread. 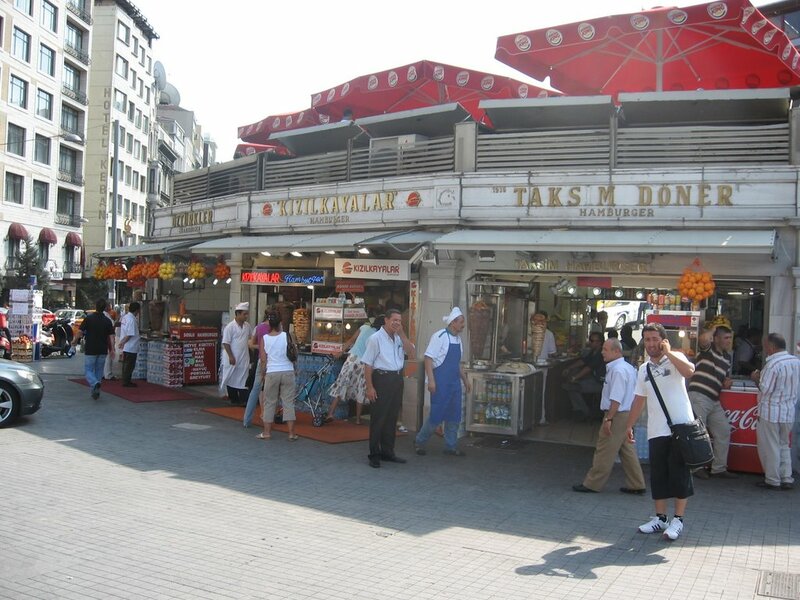 An amazing amount of döner kebab gets sold here throughout the day to commuters, party goers, and anybody who needs a quick meat pick me up. 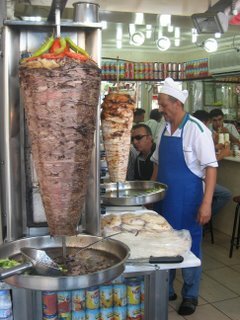 my son, Aron loves döner kebab in Budapest, but it isn't anything like the original. If I can sneak it on the plane home, I'll bring you one, Aron... just joking. My Brother still likes "Forts and stuff." 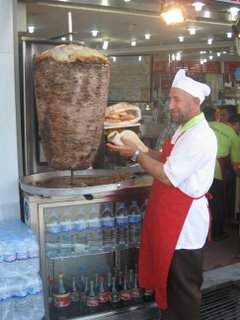 Buryan Kebab: World's best lamb?